Seniors Drake Irby, Hutch Underwood and Garrett Thomsen signed letters of intent to continue their baseball careers at Rose State College in Midwest City. They have been playing baseball together since they were six years old. 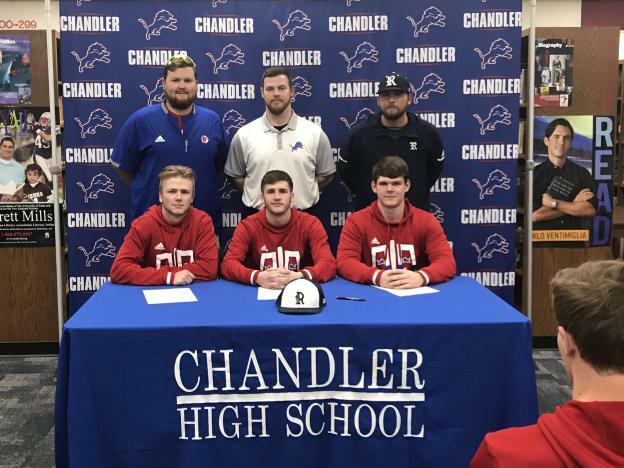 Shown with the three signees are Chandler coaches Nick Julkowski and Dillon Endecott, as well as Rose State Raiders assistant baseball coach Ryan Butts.